Q.1481 Where was India's first computer installed? 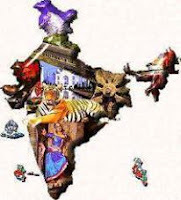 Q.1483 "MOGA" City is situated in which state ? Q.1487 Which State in India implemented the ‘Panchayati Raj System’ first ? Q.1490 Which among the following substances is used as a lubricant? Q.1491 "Udaipur" City is situated in which state ? Q.1498 Who is called the Flying Sikh of India ? Q.1499 Which of the following is cold- ocean current? Q.1500 Where Mount Cotopaxi (highest active volcano in world is located?